Blade af Satans Bog (Leaves from Satan’s Book) is a silent film, directed by Danish Carl Theodor Dreyer, screenplay by Carl Theodor Dreyr and Edgard Hoyer, based on the novel ‘The Sorrows of Satan’ by Marie Corelli, the cinematography by George Schnéevoigt, music by Philip Carli, art direction by Carl Theodor Dreyer, Axel Bruun and Jens G. Lind and was starring Helge Nissen (Satan), Halvard Hoff (Jesus), Tenna Kraft (Marie Antoinette), Hallander Helleman (Don Gomez de Castro), Viggo Wiehe (Thane of Chabord) and Jacob Texière (Judas). Those are the names behind the film, now it’s time to move on to the film itself. 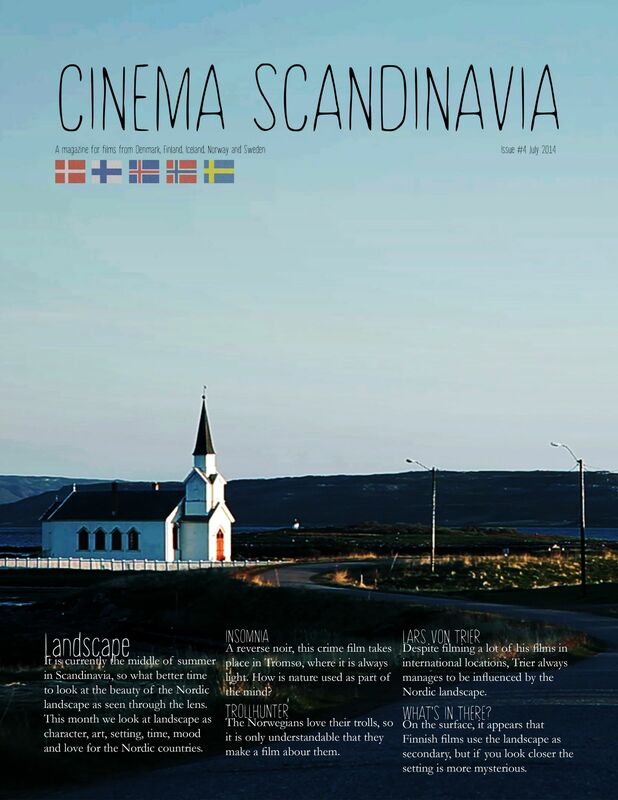 Many, many years ago, still living in a period marked by the consquences of First World War and the effects of post-war, large numbers of films began to arise and the Nordic filmmakers then took advantage of the resources that had previously been denied. And because the reputation of the film thus had preceded it, the Nordisk Film held a special screening of the film by North American director D.W. Griffith, Intolerance: Love’s Struggle Throughout the Ages, (1916) in a theater in Copenhagen. The exhibition was attended by a number of promising filmmakers, and among them was one that was touched especially by the film from D.W. Griffith, speak clear Carl Theodor Dreyer. After the trip to the theater in Copenhagen, and after drinking some inspiration to see Intolerance, Dreyer created and presented his own epic work, which he named Blade af Satans Bog and was composed of four historical dramas (chapters): the temptation of Jesus; the Spanish Inquisition; the French Revolution and the Russian- Finn War 1918. Each chapter portrays a particularly dark moment in human history, and the stories of each chapter are united as an anthology. Where is Satan himself who presides and oversees each chapter in the epic moments of cruelty is represented there. It is a curious glance at the typical representations of evil, Satan is disillusioned with everything she witnesses and instead of tormenting the word of God, this Satan, created by Dreyer, is trying to regain his favor in the eyes of the Almighty by what was designated. Dreyer’s film tells the story of the trial and expulsion of Satan from heaven and his descent into the world of mortals. To go back, Satan must perform acts of temptation on humanity with the condition that, for every soul that produces 100 years are added to your time on Earth. For every soul that endures, 1000 years will be transferred to your judgment. It is a film about temptation and persecution and follows the path of Satan on the earth, through the ages as persuader during periods of conflict. The first presence of him, that is the first chapter, is recorded in Jerusalem 30 yearsafter Christ, and is centered on the figures of Jesus and Judas. Satan is disguised with a turban and beard and influences Judas and this makes it consummates the betrayal of Jesus; The second act takes us to the Spanish city of Seville, in the times of the Spanish Inquisition, this time Satan assumes the role of grand inquisitor, diverting a young priest of his way to make him fall in love with a beautiful woman, using the self-flagellation to purge your body of sin; the third chapter, appears as Paris scene of the eighteenth century, Marie Antoinette and the French Revolution, in which Satan convinces Joseph to turn his back to Marie Antoinette; the last story takes place in spring 1918 in Finland during the Soviet occupation. Here history meets a new denouement, which turns out to be the end of the film, in which the heroic act of Siri to do it for your country, released a thousand years of Satan’s condemnation, but the judgment pronounced by the Lord that is written with the letters of eternity, Satan incites new objectives, new destinations. It is important to reference the good work that the actors did in this movie, all of them, but the caveat is the magnificent performance of Helge Nissen, like Satan, they did a brilliant job in the four visions of the Devil, alternating scary, clever, vengeful and tired. Also worth mentioning Tenna Kraft making a friendly Marie Antoinette, and Elith Pio as Joseph, a seriously divided man between doing the right thing when there are lives at stake, or just the right thing to move forward. Few filmmakers would destimidos the point of tinkering in history as Dreyer did, and he did it very well, so this is his second feature film, Blade af Satans Bog, allowed him to leave the image a local talent for a international director reputation and a bet of Nordisk Film that for the season were broken with some Hollywood standards and clearly staked their chips this artistic work, and believed that this film could be of great prestige. The film featured more than two years of production, and Dreyer certainly was not a typical filmmaker, he personally visited several libraries and files for details and references to be used. In addition to director and writer, Dreyer also controlled all aspects of this ambitious production. Although the films of Dreyer being seen as something slow, has a strong narrative, tense and dense dialogues are also beautiful and sensitive. The performances from his actors are fascinating. For all these reasons there is no doubt that Carl Theodor Dreyer with its miraculous plans, leads the viewer into a painting, is reminiscent paintings and play of shadow and light of great painters like Rembrandt and Velásquez in its composition, perfectly normal and unusual, is one of the best filmmakers of the golden age of cinema of the 20s, alongside the like Murnau and Fritz Lang. Blade af Satans Bog has a number of themes and images, in which Dreyer could spend years of their lives to sanctify them, in search of epic soul extensions.